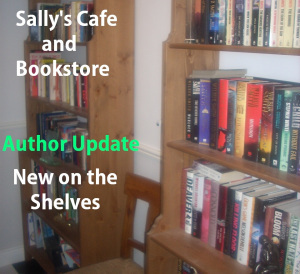 A big thank you to Sally Cronin for putting DOLL GOD on the shelf at Sally’s Cafe and Bookstore! It’s in great company, and I’m thrilled to be one of Sally’s authors! Welcome to the first of the New on the Shelves posts this week and today it is poet Luanne Castle and her debut collection, award winning Doll God that explores the emotion that we invest in inanimate objects, some of which have been created in our own image. To celebrate this charming and personal review of Doll God by Robin at her blog, I am offering for one last time a donation event to receive a free copy. For one lil ole donation of a minimum of $10 to Home Fur Good no-kill animal shelter in Phoenix, you will receive a signed copy of my book and a cat or elephant charm with free shipping (and tax write-off from the shelter). My book is valued at $14 and the charm at $5, plus I am picking up the shipping myself. All I am asking is that you donate a minimum of $10 (for shipping to US address!!! (For international, please email me to discuss shipping costs). Feel free to donate more if you can, but only one package deal per person, please. Go here for full details including how to email me the information. “Doll God,” over a period of days. A Good Book, A Beautiful Gift, and Help the Shelter Animals with One Click! RE-POSTING BECAUSE THERE ARE STILL SOME BOOKS AND CHARMS LEFT! DO YOU HAVE $10 TO HELP THE ANIMALS AND GET ALL THIS? I’ve rambled on plenty about the no-kill animal shelter where I volunteer. It’s in Phoenix, and they do a fabulous job with the dogs and cats. Hundreds of animals find their forever homes thanks to Home Fur Good. 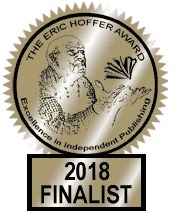 If you have a heart for the animals OR like pretty gifts OR want to get a copy of Doll God, my award-winning poetry collection, you can do all three of those things and get free shipping to boot!!! To raise some funds for the shelter and to promote my book I have planned a treat. First, I have 12 copies of Doll God that can be signed and personalized, if you like. Then I ordered 12 purse/briefcase charms from a Home Fur Good volunteer who makes them. Each one costs me $5, and each $5 is donated to the shelter! 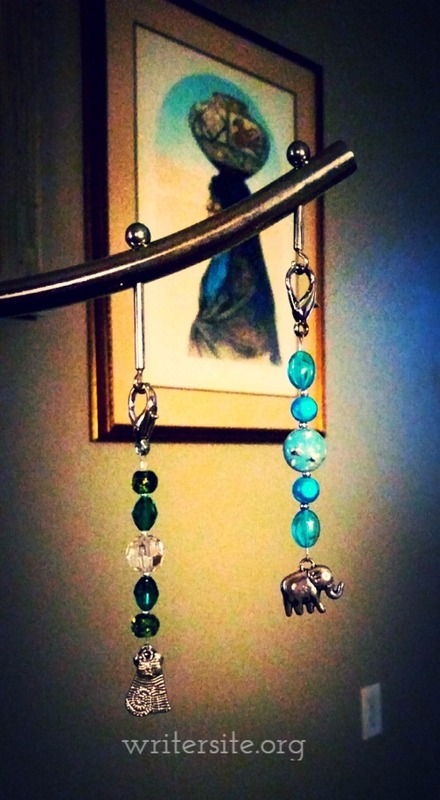 Some charms have a cat (duh) and some have an elephant (which you know I respect). You will receive a signed copy of my book and a charm (tell me whether you prefer a cat or elephant, and I will send you your preference if I have one available–otherwise I will send the other) with free shipping all for one lil ole donation to HOME FUR GOOD. My book is valued at $14 and the charm at $5, plus I am picking up the shipping myself. All I am asking is that you donate a minimum of $10 (for shipping to US address) or $15 (for international shipping)!!! Feel free to donate more if you can, but only one package deal per person, please. How can you BEAT that? No more excuses that you can’t spend $14 on a poetry book!!! I’m making it really easy for you ;). Just email me either the email you get from HFG verifying your donation or a little screen shot of a non-private part of your donation. Also send your mailing address and full name to writersite.wordpress[at]gmail[dot]com. If you already have Doll God (thank you thank you thank you), please think of it for gift-giving!!! How can you go wrong with this deal? If you don’t have a purse or briefcase, I’m pretty sure you know somebody who does who would love a pretty charm. Thank you so much for helping out the cats and dogs!!! Hurry now, before the dozen books and charms are gone! Thank you so much for helping out the cats and dogs!!! I have always thought that dolls and poems are a natural combination. Ever since I was a child, my dolls were part of my writing, as I arranged them into orphanages with my sister and wrote my own stories and poems about them. 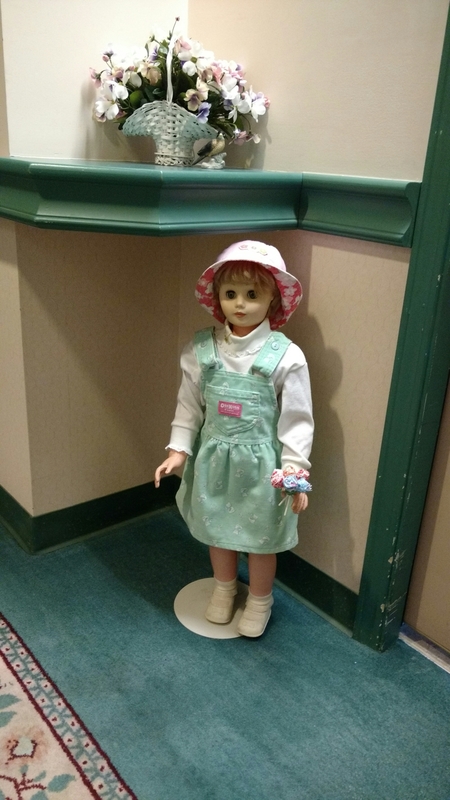 Now, I love to bring images of dolls to my poetry workshops for writing exercises. Diane Lockward chose this subject for the first book of her new press, Terrapin Books, and she has edited with great care. Because no poet has more than one poem in the anthology the variety of styles and subjects piques the imagination. I’ve never read an anthology where I felt such excitement at each turn of the page. My favorite poem in the book—and realize that this is saying a whole heckuva lot because the poems are stunning—is Christopher Citro’s “The Secret Lives of Little Girls.” This is a poem I wish I had written. I’m achingly jealous of it. How loudly you can groan if you just use your eyes. Children are adept at this, twelve-year-old girls especially. they deflate and slouch a bit in ease. a pompom here and there caked with glitter and mud. a cellophane fire in the living room hearth below. and cutlery—a clear plastic goblet at each place. In the daughter chair, an acorn balanced atop an acorn. presumably by sharpened antler bone. I’m imagining a little girl’s room as an eagle’s aerie—a difficult-to-reach, glamorous, gritty, dangerous space. But there are so many other showstoppers. Do you know what a Frozen Charlotte is? 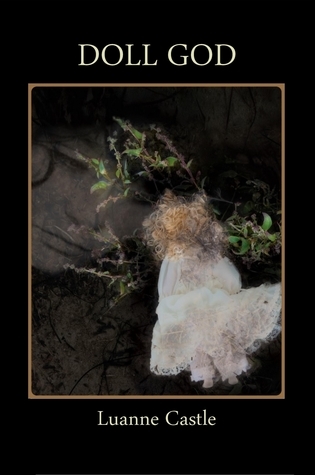 Nicole brings up this doll in her introduction, and Susan de Sola’s “Frozen Charlotte” explores this doll/dead girl. Read the book to find out the story behind the doll. “Doll Heads,” by Richard Garcia, will rip your guts out with its brutal reality. There is even a poem, written by Susan Elbe, about Colleen Moore’s dollhouse at the Museum of Science and Industry in Chicago. My own book Doll God might have its roots in that dollhouse. When I was a kid, we used to visit the museum regularly—and each time I refused to leave until we toured the doll house, just once more. You will love these poems. They will grab you at a visceral level and not let you go. 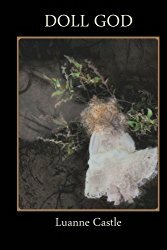 If I told you there is a new poetry collection about dolls out, you would say that is news I’ve been spouting for a long time, right? But this isn’t my book that I’m talking about. This is an anthology of poems by dozens and dozens of poets–and every poem is about a doll or dolls. The book is appropriately titled The Doll Collection. The minute I opened the book to the table of contents I got excited. Dream dolls, paper dolls, Barbies, doll makers, puppets, mother’s doll, and doll heads. There is even a poem about the doll I have written about in my unfinished memoir: the red riding hood doll that flips around to be the wolf and/or the grandma! There is a pregnant doll. There are dark poems about loss and violence. There are poems brimming with heart or compassion or longing. The pens behind these poems were held by a large variety of poets (OK, give me a little poetic license on that one–we can pretty much figure most were written on keyboards), including many luminaries like Chana Bloch, Kelly Cherry, Denise Duhamel, Jeffrey Harrison, and many more. Oh, and there is a poem from Doll God in there, too: “Marriage Doll.” Woot! What a wonderful book for anybody who loves beautiful, accessible poems–and particularly for anybody who has ever loved a doll. LIGHTBULB FLASH!!! Or a cooler idea yet would be to buy a pair of books: The Doll Collection and Doll God. What a great gift! Mother’s Day? Spring birthday? Just because? Weddings plans are in the works for son and his fiancee! They are looking a year out, but lots of preparation is already going on! We went to California again. I’ll try to post a couple of photos of that hideous drive later this week. Hahahaha.